In a few short weeks, drum corps season will give way to marching band season and many of Drum Corps International's top performers will take their newly honed skills to school. There are similarities and differences at the top levels of both marching band and drum corps competition, though in both, excellence is always the primary goal. 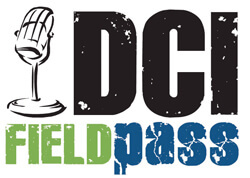 In today's Field Pass, Dan Potter talks to two corps members who have competed at the top in both Drum corps International and Bands of America, in addition to Music For All (Bands of America) Executive Vice President Eric Martin. Download and listen now. (MP3, 4.3MB) Subscribe to this podcast.